With 35 years of academic experience as a professor, department chair, and college administrator, Steve has an insider’s understanding of academic organizations, their constituents, and the special problems they face. He is a former Editor of the Journal of Psychological Practice, and charter member of the American Psychological Society. After completing his Ph.D. in Social Psychology and Statistics at the University of Nebraska in 1975, he joined the psychology faculty at Cleveland State University in 1975 and retired as Professor Emeritus in 2010. During his career, his expertise in research methodology gave him the opportunity to participate in research and scholarly teams in a wide variety of disciplines (psychology, genetics, linguistics, literature, diversity, gerontology), and to publish in a broad array of journals such as the Journal of Social Psychology, Journal of Black Psychology, Style, Journal of Vocational Behavior, International Journal of Cancer Research. Steve has worked on projects that included focus group and survey work for a variety of private sector and non-profit companies and organizations, including Smuckers, TRW, Illuminating Company, Cleveland Clinic, and COSE. Involvement in training master’s students in Diversity Management led Steve to expand his consulting interests to diversity training in 2000. His projects have included work for Alcoa Aluminum, Gund Arena Corporation, and Case Western Reserve University. This rich and varied portfolio of successful academic and consulting experiences has resulted in and from a depth of knowledge in psychology and research methodology, the ability to adapt methodology to a variety of situations, and the ability to work in a team and with diverse constituencies. Steve’s Native American heritage has given him a deep and abiding interest human rights and diversity. 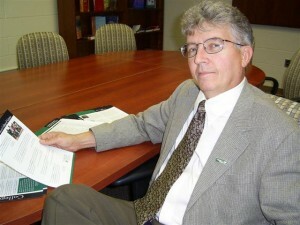 He continues to be active in teaching, supervising students, and is currently Principal Investigator on a large Department of Education Title III grant promoting collaborative recruitment and retention efforts between Cleveland State University and Cuyahoga Community College.